2 Bedroom Terraced Cottage For Sale in Stockport for Offers in excess of £230,000. 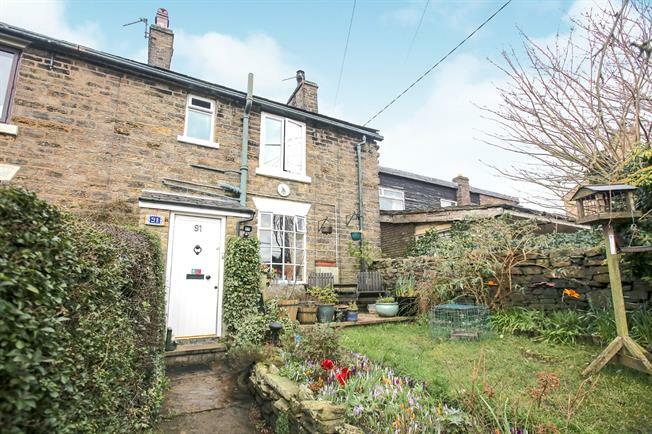 This well presented two bedroom cottage is filled with character and charm and will appeal to first time buyers or those looking to downsize. In brief the property comprises entrance porch, living room with open fire, dining room and kitchen to the rear. To the first floor are two good sized bedrooms and modern fitted bathroom. To the front of the property are steps leading to the front garden with an array and plants and borders and a haven for wildlife. To the rear of the property is a low maintenance rear court yard style garden with view over the open countryside beyond.